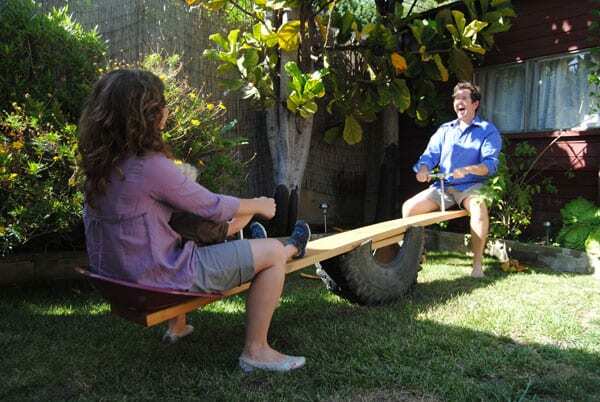 See saws are have been removed from playgrounds across the country as many communities have deemed them “unsafe”. 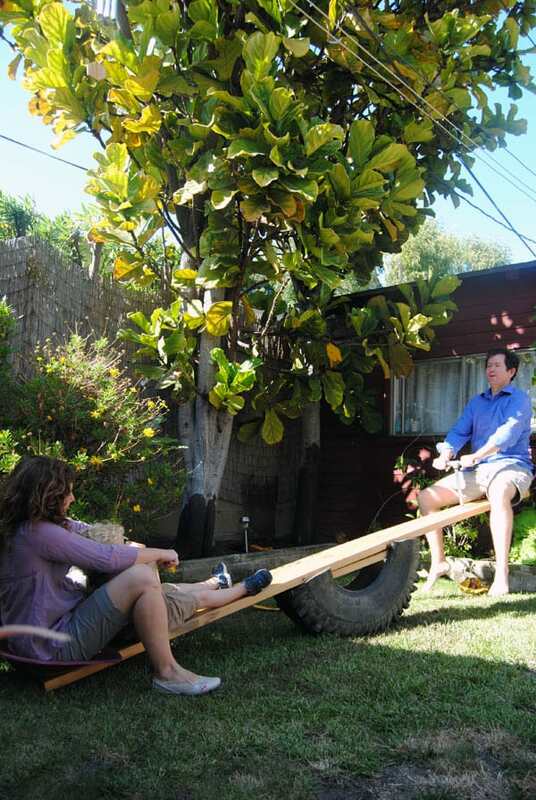 We wanted to celebrate this classic piece of playground equipment by building a backyard tire see saw version that is suitable or adults and kids. 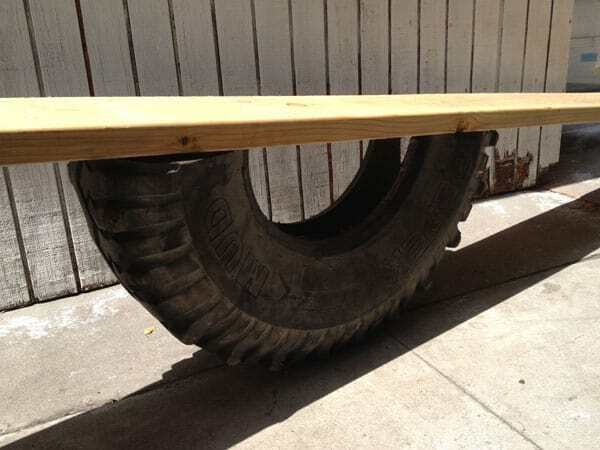 You’ll need an old tractor tire, a 10′ piece of white pine in various widths and a recip saw to cut the tire. 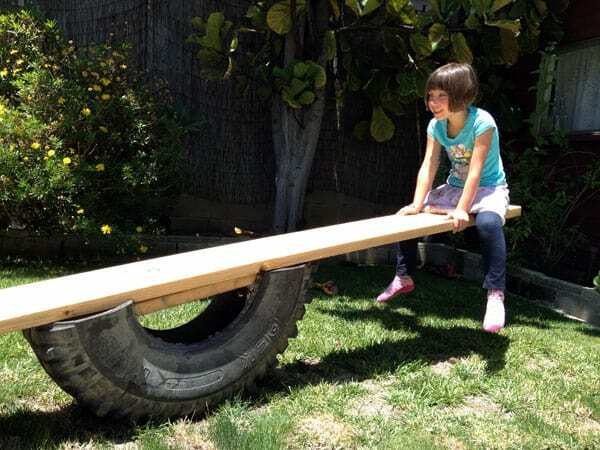 You can get creative with how you setup your see saw but we placed a smaller piece of pine into the half piece of tire then screwed the 10′ long pine board into that. 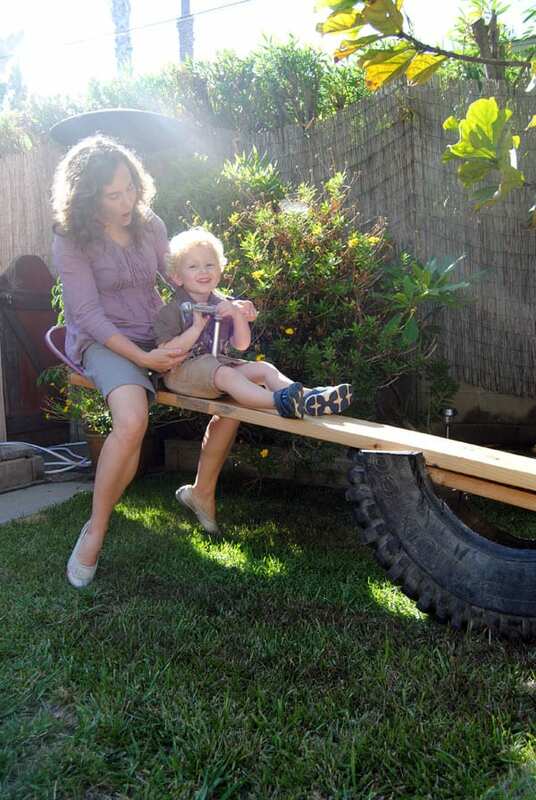 We later added two tractor seats and plan on building some raised handles. 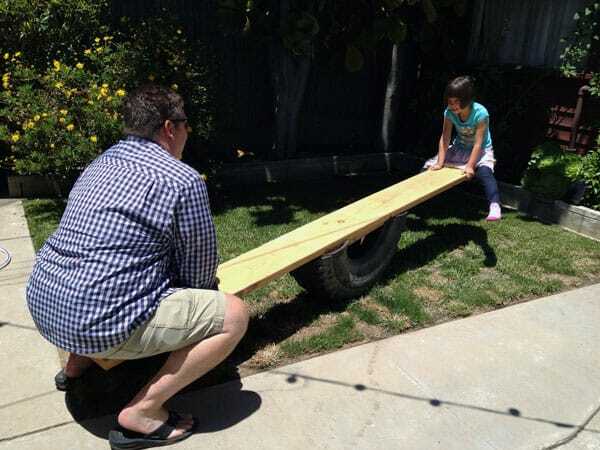 This project will be featured on the DIY Network and we will share a link to the full project with instructions as soon as it’s published. 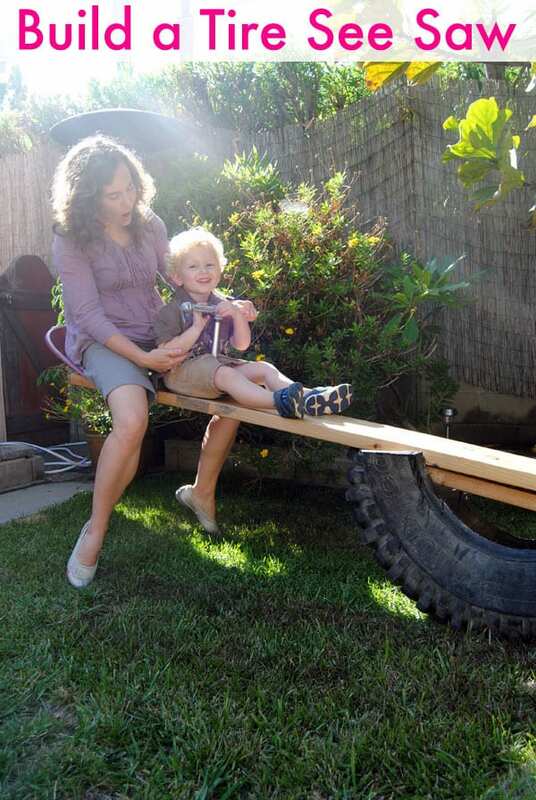 For now enjoy some photos of the process and some of our friends who couldn’t wait to jump on and start playing!